The Davis Cup Trophy is currently embarking on a journey across the nation to celebrate Great Britain lifting the Davis Cup by BNP Paribas title for the first time in 79 years! 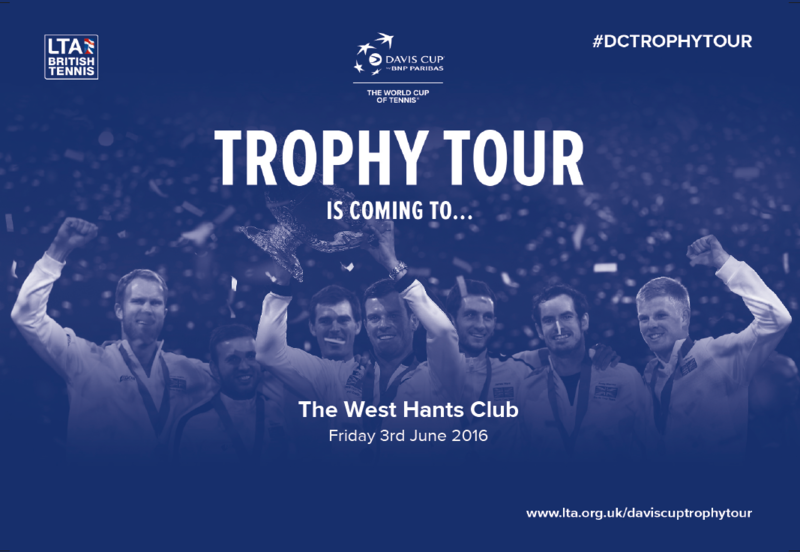 We are delighted to confirm that the trophy will be on display at The West Hants Club on Friday 3rd June. Why not head down and take advantage of this exclusive photo opportunity with the Davis Cup Trophy during its time in Bournemouth. On Facebook? Join the event and share with your friends and family!